Jamaica has one of the best bauxite deposits in the world, but the country hardly profits from this resource. AFRICANGLOBE – There’s nothing new-fangled about bauxite mining in Jamaica. 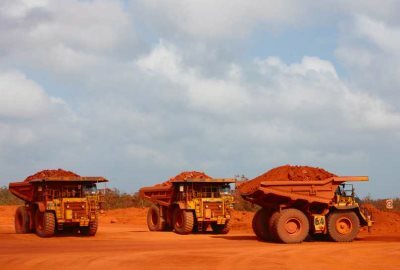 They’re benefiting from a panicked realization across the aluminum industry that the supply chain — which involves processing bauxite ore into alumina and then into aluminum — is fragile. Distressed debt specialists like Varde Partners and Owl Creek Asset Management, which ended up owning a controlling stake in alumina plant Jamalco after the restructuring of Noble Group. Wes Edens’s New Fortress Energy, which has built liquefied natural gas terminals in Jamaica, a bid to replace oil as the power source for making aluminum. David D’Addario’s Dada Holdings, which controls New Day Aluminum. Chinese industrial group Jisco, which in 2016 bought a plant on the island from Rusal.